Absolute black window sill installation is a simple method of updating any design scheme. An increasing number of clients understand that use of natural stone is not just for floors anymore. Additional steps during the installation process ensure that stone sills retain their beauty for years to come. Before discussing the installation process, it is important to understand how natural stone gained in popularity among consumers. According to historians, Roman Emperor Caesar Augustus encouraged marble interior design schemes starting in 64 Before Common Era (BCE). It was not long before builders used the material to create noteworthy interior and exterior designs. The windowsill can be a highly neglected area. According to the Merriam-Webster dictionary, sills are “the horizontal unit at the bottom of a window”. The areas have become another avenue of self-expression for clients looking to upgrade their properties. Natural stone construction fell out of favor for a period, especially among the working-class. Wood and other treated materials grew in popularity due to affordability. Some property owners came to understand and appreciate the distinct look that natural stone sills offer any space. The allure of natural stone is not just superficial. Incorporating materials like granite and marble into a building design provides clients with natural cooling systems. In warmer tropical and/or Mediterranean climates, this quickly translates into reduced cooling costs. • Greater durability when compared with traditional wooden sills. Stone lasts an extremely long time with proper care. They resist water damage better than wood, which needs frequent replacing. • Stone has a higher aesthetic appeal than wooden fixtures. Natural stone pieces are available in versatile colors, allowing clients to match or coordinate windows and flooring for a truly unique look. • Stone sills offer an instant increase in property values. According to Forbes Magazine, new flooring and fixtures tend to attract buyers. Clients who opt for stone flooring, walls and/or window treatments typically recoup their costs when selling a property. During consults, clients may be at a loss on where to consider black window sill installation. The best answer is also the simplest – any area makes the perfect setting for stone sills. Sills function exclusively as indoor or outdoor pieces, so installation professionals should conduct proper research to help clients make their final decision. • Leveling the wall to ensure sills sit on an even base. This may require the use of auto-leveling mortar. • Having the stone cut to an appropriate size. A grinder or wet saw provides the best results. • Affixing sills to a level base using glue adhesives. • Afterwards, caulking gaps completes the finished product. • Many installers also seal pieces before and after installation. According to experts at Stone World Magazine, natural stone needs a proper sealant. The process helps pieces maintain their current beauty and protects against daily abuses. This is especially important considering moisture and intense sunlight constantly batter the window area. Penetrating sealers are highly recommended for sill use. Penetrating sealers, or impregnators, are soaked through the stone’s surface. The formula does not alter surface appearance, but does a complete job of guarding against scratches (especially important for black stone). Treated pieces require minimal maintenance. Touch-ups range from 6 months to 20 years, depending on the formula. Clients want to know they can effectively clean units without leaving streaks behind. Maintenance on black stone fixtures is quick and easy with a few common household products. Mixing water with liquid dish detergent, hydrogen peroxide or rubbing alcohol allows clients to maintain their sills between professional seals. 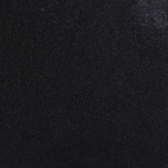 Black stone still runs the risk of staining, even with proper sealant. Acidic products, grease, even certain foods can leave a lasting impression. Quickly soaking up spills with baking soda, cornstarch or peroxide mixtures alleviate potential headaches. One of the biggest misconceptions about using natural stone for window designs is cost. Professionals provide a seamless, clean look. Projects can also be labor-intensive for some do-it-yourself artisans, resulting in a massive loss of labor hours. look when stone comes from one lot. Clients have come to expect a comprehensive experience from design professionals. As of August 2012, CNN reports the real estate market is slowly heating up. Property purchases are on the rise, and sellers want their listings to shine. Natural stone flooring has become de rigueur for high-end properties. By offering stone sills, designers can take clients to the next level. Unlike other improvements, stone window treatments display a timeless elegance to enjoy for years to come. 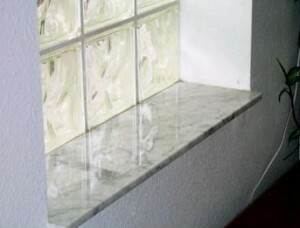 Contact StoneXchange (windowsills.com) for exquisite natural stone windowsills and thresholds. The company stocks standard window sizes in addition to accommodating select custom orders. Please note that as of August 2012, StoneXchange specializes in sills for indoor use only. Pieces are available in a number of neutral shades. This eliminates the need for clients to redo an entire area because of new sill installation. The color schemes are also easy to coordinate with upcoming design plans, making the process easier on clients and designers. Parties interested in wholesale orders may contact the company directly for pricing information. A convenient online form matches private clients with dealers who specialize in individual sill purchases. StoneXchange experts are dedicated to making absolute black window sill installation an easy process. Visit the rest of our site for fresh ideas on an often overlooked feature.